Our breakfasts cater for whatever appetite you may have. We have a selection of yoghurts and breakfast cereals with fresh rolls and croissants. Freshly made fruit salad is available and a selection of natural juices. We also provide a continental option of sliced meats ,cheese and fresh fruit. But that’s just the start. Our cooked breakfasts use all locally sourced produce and are cooked to order. 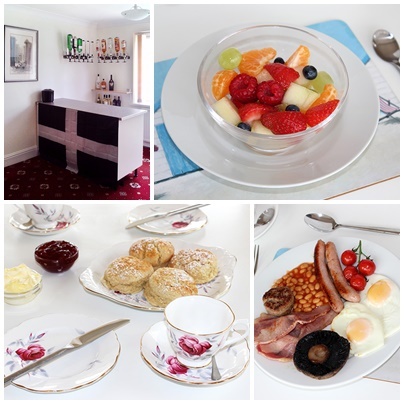 You can have any combination of eggs , omlettes or the full Cornish which includes , sausages , bacon, hogs pudding, eggs , mushrooms , tomatoes and baked beans. All accompanied with fresh toast and a selection of jams, marmalade and honey. Needless to say , fresh coffee and tea is unlimited.